Now that Ubisoft’s heavy hitters have had a few months to lure high-end gamers to GeForce Experience, Nvidia’s targeting the mainstream masses. On Tuesday, Nvidia announced that the GeForce GTX 1060 ($250 and up on Newegg for 6GB model) is being added to the “Prepare for Battle” bundle, joining the GTX 1070 and GTX 1080. When you buy one of the graphics cards from a participating retailer or PC vendor, you’ll be able to take your pick of For Honor or Ghost Recon: Wildlands for free. The former’s a satisfying melee brawler with samurais, Vikings, and knights, while the latter tasks you with disrupting drug dealers in a massive open-world recreation of Bolivia. Both are better played with pals. The catch? You can’t redeem the game codes through Uplay itself. Instead, you’ll need to install Nvidia’s GeForce Experience software to snag the freebies. PCWorld’s initial coverage of the Prepare for Battle bundle explained why Nvidia’s keen to get you using its otherwise optional software. A Ghost Recon: Wildlands screenshot captured and edited with Nvidia Ansel. But I’m keen on making you aware of the hidden super-screenshots lurking in these games. For Honor and Wildlands both support Nvidia’s Ansel technology, which is the best GeForce feature you’re not using—probably because games don’t explicitly point out Ansel’s inclusion. Just press Alt + F2 in-game to get started making glorious gaming art of your own. I don’t recommend doing it in multiplayer though. The offer lasts until April 17, and yes, Nvidia’s cut-down 3GB GTX 1060 ($180 and up on Newegg) is also eligible. Word of warning: Make sure your chosen retailer’s participating before you buy! Fight! AMD’s rival graphics cards don’t support Ansel, but they’re being bundled with a game of their own. Many Radeon RX 480 models at Newegg and Amazon are still coming with a free copy of Doom, one of the most exhilarating single-player shooters of all time. Wondering which hardware is right for your needs? 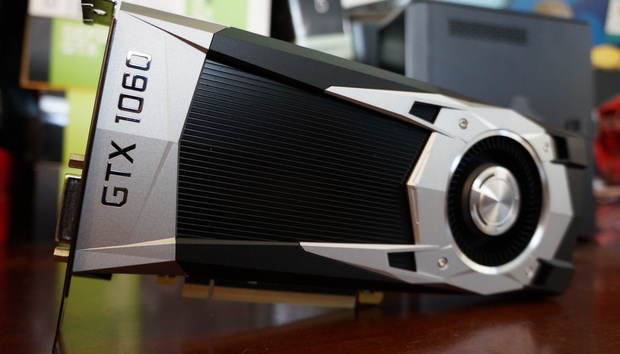 Check out PCWorld’s guide to the best graphics cards for PC gaming for no-nonsense buying advice on entry-level $100 cards to $1,000 beasts.